If you think you're paying too much on a low credit loan it may be time to visit a poor credit auto refinancing company to help you address any concerns with your current loan agreement. There is no need to struggle with costly monthly payments on bad credit loans when there are second chance car loan places available in every city that specialize in aiding consumers who want better auto financing. An auto refinance company is an establishment that assists consumers with lowering the high interest rates and monthly payments on their poor credit vehicle loans. These can be banks, credit unions, dealerships, or other auto finance companies for poor credit that can look at a person's loan and determine if their finance rates match their credit status. 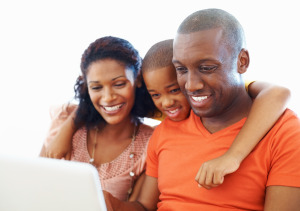 Borrowers also have the option to use the internet and online refinancing services for poor credit to help them locate a nearby lender than can assist them. Many people believe that second chance sub prime credit loans is a difficult process, but it's actually no different than if you had good credit. A consumer must complete an application with their specific refinance company, who will conduct a process similar to their first car buying experience. The lender will conduct a credit check, review the buyers income, as well as their debt-to-income ratio, which is a person's total monthly debt divided by their gross monthly income. The refinance process does begin to differ as every poor credit second chance auto loan company will also require information on the vehicle. Things such as the vehicle identification number, the initial cost of the vehicle, whether or not any down payment was made, and so much more. AutoNet Financial is one of the premier car refinancing companies for people with poor credit that can assist you today. Applicants can complete our online bad credit auto financing application and allow us to pair you with a local dealer that offer you the best second chance loan.